A lot of people would have missed it, but the sight was unmistakable for many children with autism and sensory needs: Julia, the Sesame Street muppet with autism, wearing a pair of noise-canceling headphones in the Macy's Thanksgiving Day Parade last week. I'm still thinking about those headphones. I shared Sesame Street's tweet on my Facebook page. "My son, who has autism, noticed her right away," reported one mom. "He said, 'There's Julia! It must be loud there, but I'm glad she has her headphones.'" Said another, "My Ben was so excited to see someone else wearing what he calls 'ear cymbals.'" 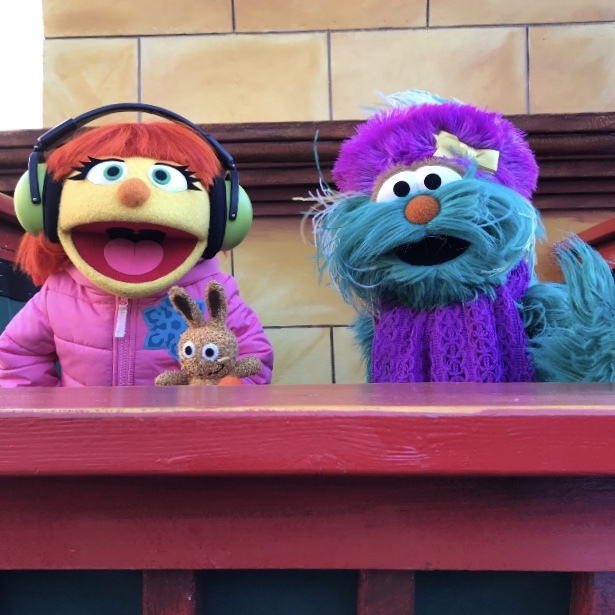 Julia premiered on Sesame Street in April 2017, and made her debut in the parade this year. That in itself was significant. But those noise-canceling headphones, well, they had magical powers—the kind that could make kids with special needs feel excited, reassured and just plain happy to see someone doing what they do when faced with big, noisy celebrations and crowds. Children and teens with special needs can sometimes be very aware of the ways in which they look and act different from their peers. On weekends, Max has recently started saying no to the bandana bibs he usually wears to help control drooling. I understand why—they make him stand out from his peers. Hmmm, I do think one would look lovely on Julia. Bit by bit, step by step, win by win, the world continues to become a more welcoming, inclusive place for our children. This Thanksgiving, Julia made a pair of headphones an everyday accessory— much like scarves and gloves were on that bitter cold day that warmed the hearts of many kids and parents everywhere. And for that, a lot of us are still grateful. 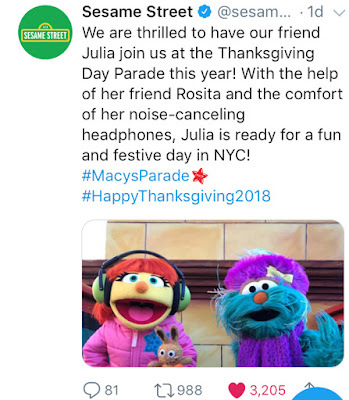 Checking Twitter on Thanksgiving morning, I saw several autistic adults I follow gleefully taking note of Julia's headphones, too. I can only imagine how thrilled they were to see that! Ellen, have you ever posted about choosing earphones, or can you recommend a site with a good discussuion of what is out there?